A system-wide approach to evaluating parks, recreation, open space and trails is desired in order to develop goals, policies and guidelines with achievable strategies. Through the collection and analysis of data, the planning process will identify what is needed in Durango and develop a plan for the Department’s parks, open space, trails, and recreation for the next five or more years. The outcome will be an action plan that will enable the Department to improve the parks system in a way that best utilizes the efforts and resources of all involved. This comprehensive and contemporary master plan will be used to justify and guide future decisions relative to meeting the current and future demands within the City’s service area. 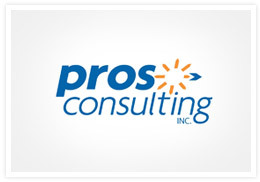 Since the firm was established in 1995, PROS has completed more than 900 projects in over 47 states and numerous projects internationally in six countries. The project will be led by Neelay Bhatt and supported by Leon Younger, Michael Svetz, Phil Parnin and Sarah Durham from the PROS Team. The ability to Effectively Listen & Involve Citizens and Clients has given ETC Institute a reputation as one of the premier public policy market research firms in the country. ETC Institute’s services focus on involving citizens, users, and stakeholders in the decision making process and developing creative and sustainable funding strategies. Core services of the firm involve conducting statistically valid phone and mail/phone services and related market research. They have conducted more than 600 surveys for parks and recreation systems in 46 states across the Country for a wide variety of projects including parks and recreation master plans, strategic plans and feasibility studies. Established in 1992, ETC Institute helped secure funding for more than $2 billion of parks and recreation projects. PROS Consulting and ETC Institute have teamed on more than 300 similar parks and recreation projects. 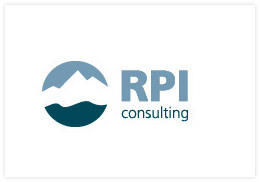 Since 2000, RPI Consulting has delivered customized, cost-effective solutions to difficult public concerns in rural communities throughout the Mountain West. By design, our multidisciplinary in-house skills lean heavily toward integrated strategic planning and analysis. We’ll put all our skills, connections and deep understanding of the West to work for you, because we’re as invested in your community’s success as you are. Thomas & Thomas and the engineering partners have facilitated, designed and planned numerous trail and park projects throughout Colorado. Many have been funded by various grant programs. 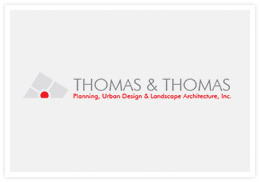 Thomas & Thomas and their planning partner have more than 30 years of recreation and trail planning experience. This experience has allowed us the great opportunity to work hand-in-hand with many of the smaller communities in Southern Colorado, as well as the growing number of Metropolitan Districts providing recreation facilities and amenities in our region. 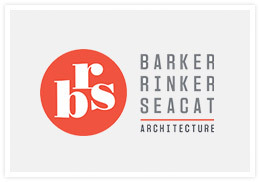 At Barker Rinker Seacat Architecture—or BRS for short—we strive to design thoughtful, enlivening, functional places that enrich and enhance the lives of their users. Our goal is to make a positive and lasting impact on the communities we serve and to improve the quality of life for the people who belong to them. Our capabilities range from feasibility studies to master plans, full design services through contract administration. Our mission is to serve you and provide your community with the absolute best solutions through innovation, expertise and customization.